Shot the dot on the target, press the button. The length shows up on the LCD in almost no time. 2.0mm accuracy, way better than tape or ruler. 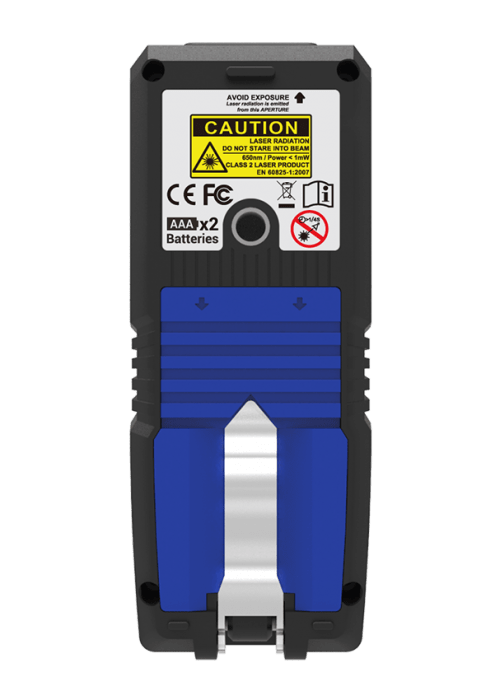 0.5 second response time, a leap in your measurements. You can connect the LDM100 and the phone through Bluetooth and organize all your measurements on the phone, it’s quick and easy. You can also share with your partners through your favorite way, the messengers or email. This would be the function you ever looking for. 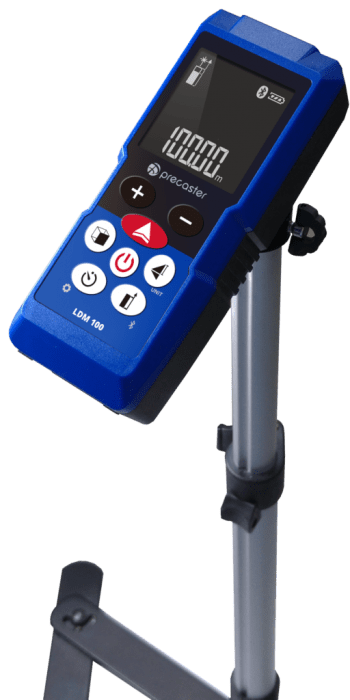 LDM100 equipped the full measuring applications for any jobsite tasks, included Area, Volume, 6 Indirectly Height Measuring (base on Pythagorean), Continuously Measuring, 20 Memories, Stack-Out Measuring, Countdown Measuring. You can access all the functions in one button and knowing exactly what you need from the indicators. There is a ¼” tripod thread at the bottom of LDM100, you can mount on the tripod for a stable measurement. The stainless multi-function end-piece gives you three-way of use, including the hook, the extended measuring reference and folded, you can always find a way for measuring. Folded into body, on your hand and pocket, it’s a compact measurer. Hook at edge, for plank, table and surfaces, knowing where to start to measure. Extended Pintail, best for measuring at pipe, corner, less gap and more accurate. The six ways to measure the height indirectly are based on Pythagorean, you can measure the single height, summary of full height and the difference between two heights, you can measure the width of all by turn the triangles 90 degrees. 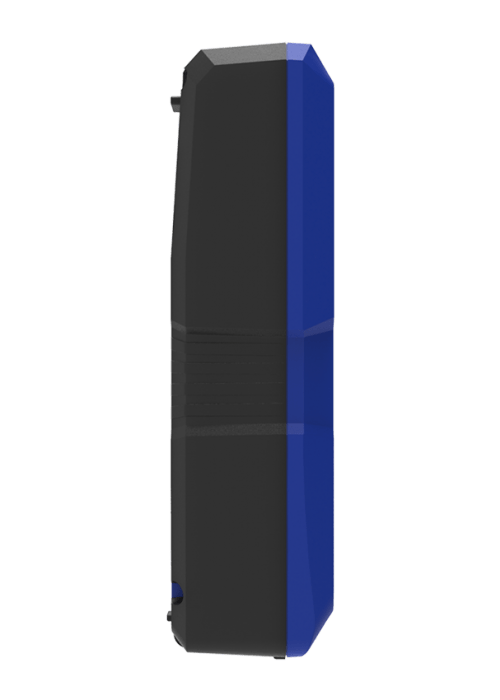 With the built-in angle sensor, it is easier to measure the height without the base and is a powerful feature for height measurement. 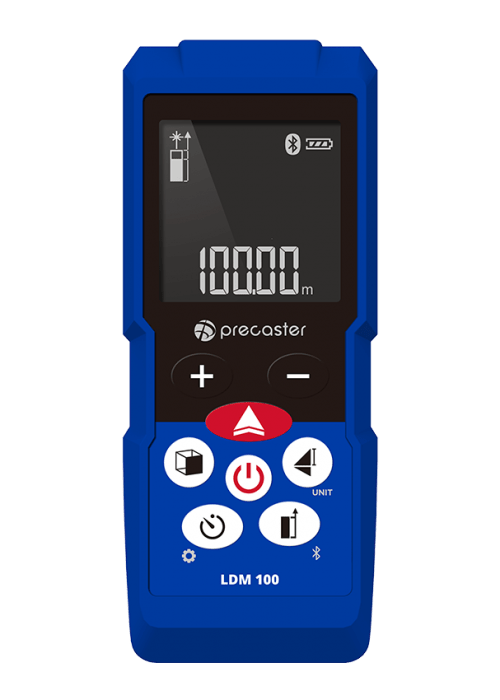 LDM100 has a 360° Inclinometer inside, so you can measure the incline with one tool and you can measure the height without measuring the base for a flexible measurement at the jobsite. you will never get confused or lost any measurement you just did. It builds 8 units so you can use it all around the world.And you have hassle-free on the units converting, included meters, feet, inches, imperial units, and Taiwan meter. It is also flexible to select the references between the front or bottom of the device. LDM40 has our latest power management mode, increased 20% of battery life. You can measure over 10,000 times with 2 AAA batteries and can last over a whole year. You can always know the capacity from the battery indicator.